one × = one Required Please enter the correct value. 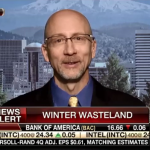 Does Weather Move the Markets? Stock Market Selloff: Should Investors Be Worried? Every month or so, Keith Fitz-Gerald, Shah Gilani or a few of the other editors here at Money Map Press will wonder aloud if the big Wall Street investment banks have secreted a bunch of listening-device "bugs" in our offices or on our phones. They haven't, of course. And our comments were made in jest - and meant only as a joke. But the coincidences that prompt these surveillance-by-Big-Brother quips can be quite remarkable. Today's stock market news, Feb. 12, 2014: The Dow Jones Industrial Average soared more than 192 points on Tuesday after new Fed chair Janet Yellen stressed that monetary policy is unlikely to change under her leadership. The Dow ticked above 16,000 for the first time since Jan. 24. The S&P rose 1.1% to close at 1,819.75 and the Nasdaq increased 1% to 4,191.04. 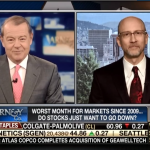 Money Morning Chief Investment Strategist Keith Fitz-Gerald appeared on FOX Business' "Varney & Co." this morning (Tuesday) to answer the question, "Does weather move the markets?" Georgia will fall victim today to a winter storm the National Weather Service is calling "a historic, catastrophic event." Atlanta will shut down for the next two days, and U.S. President Barack Obama declared an emergency for the state. The storm will ultimately affect more than 100 million people, from Texas to Georgia, New York, and Massachusetts this week. 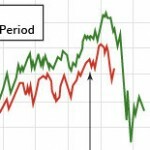 For months, Wall Street insiders have passed this chart around amongst themselves and nervously discussed whether it foretells a major stock market sell-off. The chart compares the path of the current Dow Jones Industrial Average over the past year and a half to the Dow's moves over the 1928-1929 period. While the Dow is trading at a much higher level now than in the 1928-1929 period, the pattern is eerily similar to the path that led to the worst stock market crash in Wall Street history, right up to the recent stock market sell-off and recovery. U.S. Federal Reserve Chair Janet Yellen delivered the semiannual Monetary Policy Report Tuesday morning before the House of Representatives. This was Yellen's first public address since assuming the role as head of the U.S. central bank after predecessor Ben Bernanke on Feb. 3, 2014. Yellen, who until last week served as vice chair of the Fed, testified on the health of the U.S. economy, her commitment to the central bank's ongoing stimulus efforts, and regulatory needs for the financial system. The full text of Yellen's remarks follows. When freshly installed Fed Chair Janet Yellen went before Congress yesterday, she mostly followed the script written by her predecessor, Ben Bernanke. But now that she's in charge, everything she says will carry a great deal of weight. 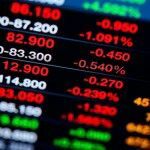 Stock Market Today, Feb. 10: U.S. stocks were buoyant but fluctuating today, with both the Nasdaq and S&P 500 closing in green territory, although the Dow slipped. The Dow Jones Industrial Average closed up 0.1%, or 7.71 points, at 15,801.79 points; The S&P 500 closed up 0.2%, or 2.82 points at 1,799.84; and the Nasdaq Composite Index closed up 0.5%, or 22.3 points at 4,148.17 points. Stock market today, Feb. 7: Today (Friday), U.S. stocks closed in positive territory for a second consecutive session after the January jobs report revealed a declining unemployment rate. The Dow Jones Industrial Average closed up 1.06%, or 165.55 points at 15,794.08 points; the S&P 500 closed up 1.33%%, or 23.6 points at 1,797.02, and the Nasdaq Composite Index closed up 1.68%, or 68.7 points at 4,125.86. The January jobs report is another sign of how weak our economic recovery is - and it's not even taking into account all of the unemployed. Friday, the Labor Department reported employers added 113,000 jobs last month. The unemployment rate ticked down to 6.6% from 6.7% in January, a rate not seen in five years. The decline in the unemployment rate is due to an ongoing trend: discouraged workers exiting the labor force. The actual unemployment rate, the U-6 rate, which includes "marginally attached workers plus total employed part time for economic reasons," remains at an unhealthy 12.7%. The stock market sell-off has made for a rough start to 2014 - and February could bring more of the same. The S&P 500 Index fell by 3.56% in January, its worst monthly drop since May 2012, and was off to its worst start in February since 1933. The Dow Jones Industrial Average plunged more than 300 points on Monday, Feb. 3, and had its worst start since 1982. And the Nasdaq Composite Index started the month down 106 points, or 2.61%. The Dow Jones Industrial Average plunged 326 points today, while the S&P 500 dipped 40 points and the Nasdaq dropped 107. In 2014, the Dow is down 7.3%, the S&P 500 5.8%, and the Nasdaq 4.3%. 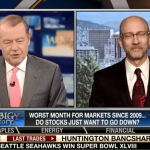 Money Morning's Chief Investment Strategist Keith Fitz-Gerald joined FOX Business' "Varney & Co." today (Monday) to answer today's biggest question: Should investors be worried about this stock market selloff? 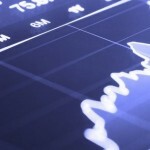 Best investments for the week ending Jan. 31, 2014: A sharp sell-off in emerging markets, disappointing earnings from several key companies, and further tapering from the U.S. Federal Reserve left markets reeling last week. Despite the nosedive, investors still have plenty of opportunities for profit. Money Morning keeps readers current on the best stocks to buy now and the best investing moves to make for any market conditions. Stock Market Today, Feb. 3: U.S. stocks closed down Monday after a rough trading session on the heels of a disappointing report on U.S. manufacturing and ahead of a busy week for economic indicators. The Dow Jones Industrial Average closed down 326.05 points, or 2.1%, at 15,372.80 points; the S&P 500 Index closed down 2.28%, or 40.7 points, at 1,741.89; and the Nasdaq Composite Index closed down 2.61%, or 106.92 points at 3,996.96.